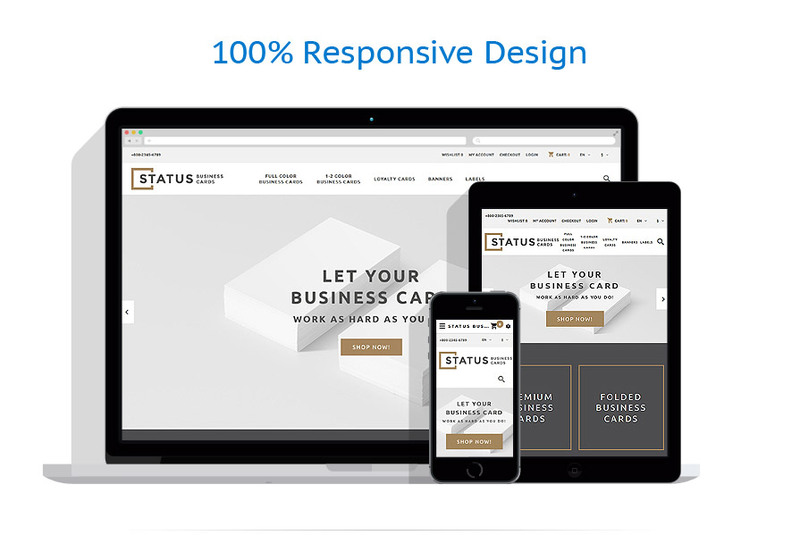 Status is a responsive OpenCart Template designed for online print shops. This modern design has valid semantic code, so you can be sure your website will work smoothly and the site speed will be great. There’s a newsletter subscription pop-up, Ajax search, support of multiple currencies and languages and much more. 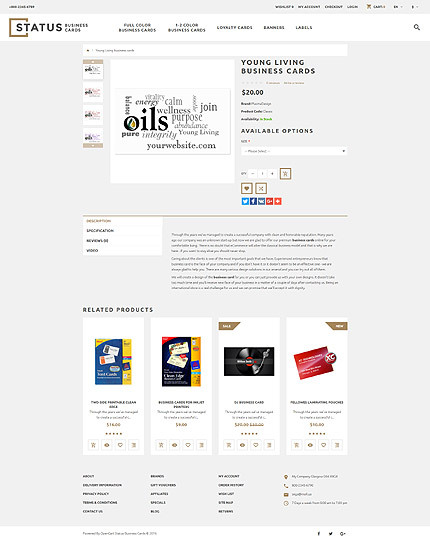 Status is a print shop OpenCart theme providing easy navigation and scalability of the layout to different viewports. A full-width slider serves as a focal point of this design and comes with an option to preview the next slide in a thumbnail image. The merchandise is divided into new, featured and special items in the clean product block. Each item is supplied with ratings and vital eCommerce options such as a shopping cart, wish list, and comparison option. One of the theme blocks features a split layout, which can let customers compare your offerings made in different styles. To increase your mailing list, a newsletter signup form appears as a popup when customers enter your e-store. This template is meant for business, tools, equipment, entertainment, and art websites.